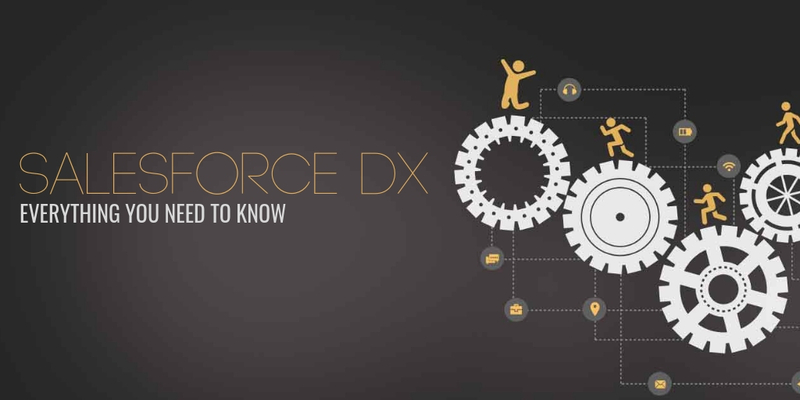 Well, all the buzz is now around the new Salesforce features that are disclosed by Salesforce in the annual Dreamforce 2017. 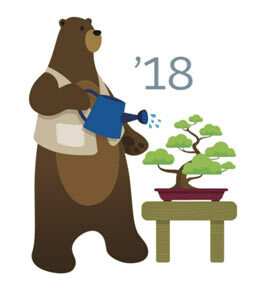 The wait is over as Salesforce is all set to roll out the Spring 18 version following the Spring ’17 Release. Of course, it is quite thrilling to see so many new Salesforce features that are popping out of Salesforce’s magic hat. We are sharing some of the new Salesforce features that will change your business and the way you use Salesforce. Hope this enlightens you. So are you ready? Here we go….! Lightning gets news tags and updated features to the existing tags. The LinkedIn integration is here. This integration will allow us to generate leads from LinkedIn, which is mapped to Salesforce. This powerful tool will provide reps with a larger pool of potential customers. Connect a LinkedIn account (1) to your Salesforce Org. From Setup, enter LinkedIn Lead Gen in the Quick Find box. Then click LinkedIn Accounts. 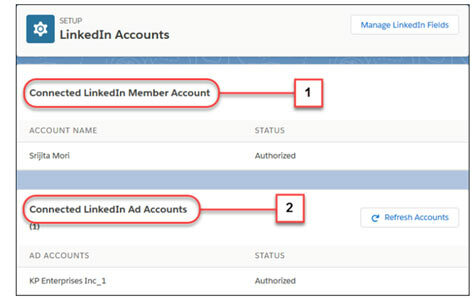 Salesforce connects the ad accounts associated with this member account to your org (2). All the forms related to these ad accounts generate leads in Salesforce. Set up default values for leads from LinkedIn. 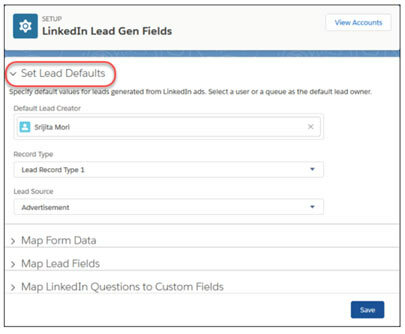 From Setup, enter LinkedIn Lead Gen in the Quick Find box. Then click Lead Gen Fields. 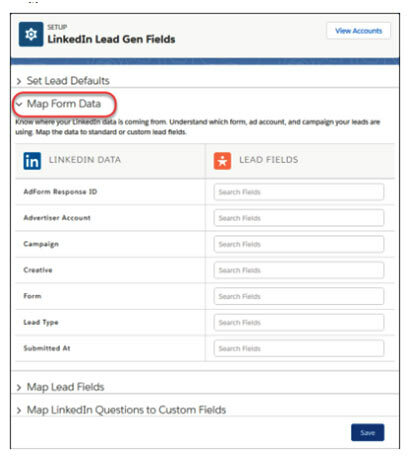 Map LinkedIn form metadata fields to lead fields. This metadata provides information about the form from where the leads come. Usually, you use custom lead fields for this data. 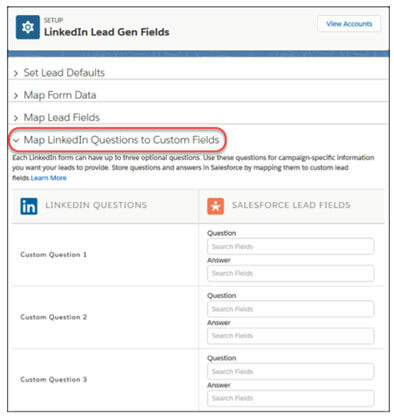 Map LinkedIn lead fields to Salesforce lead fields. 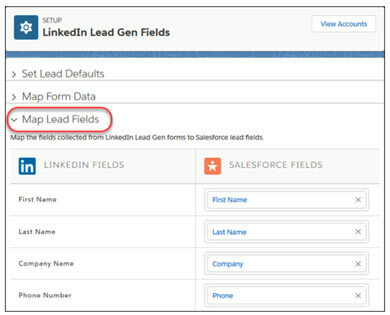 Set up more Salesforce leads fields to capture data from your LinkedIn custom form questions. Use a lead field for each question and another for the answer provided by the lead. This way you can report on questions and answers by filtering leads to questions asked. The conversion process just got streamlined. Now, the Sales teams can choose whether the conversion requires an Opportunity or hide the section altogether (only for the lightning experience). Decide whether to hide the Opportunity section of the Convert Lead window (1). 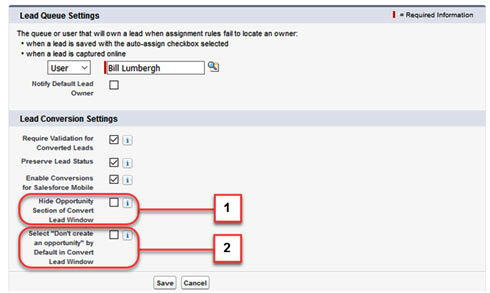 Decide whether “don’t create opportunity” option is selected by default (2). Return of products just got simpler with the introduction of “Return Orders.” Got a defective product or the wrong quantity or anything else? Salesforce has got it covered. 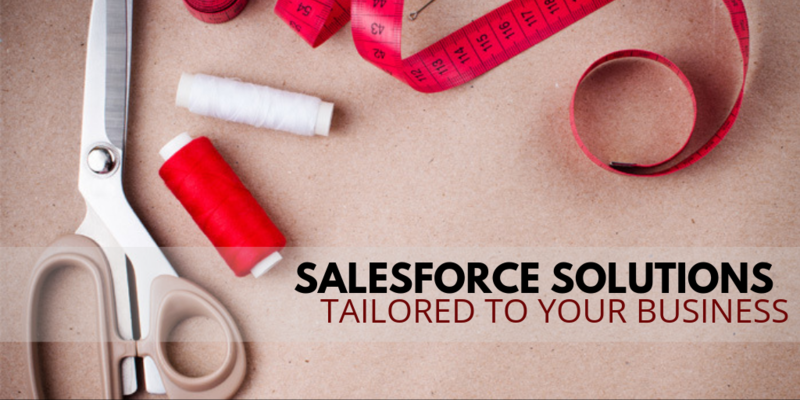 This Salesforce features can also be used to track customer repairs and returns. 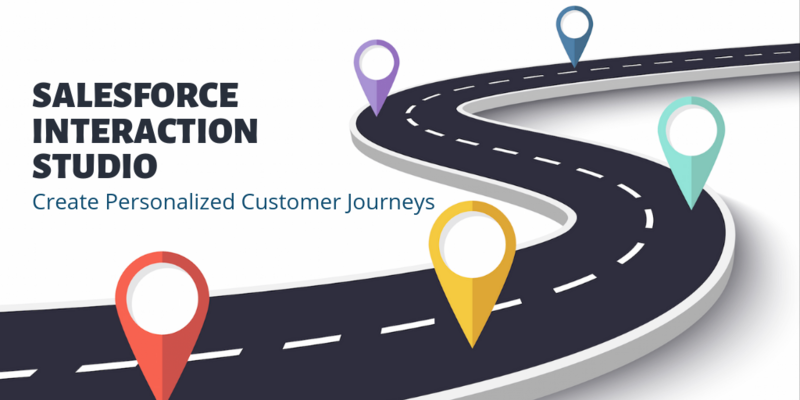 Customers can initiate returns from communities too. The Return Orders related list is available for accounts, contacts, product requests, cases, orders, and locations. The Return Order Line Items related list is available for product items, return orders, locations, products, assets, order products, and product request line items. 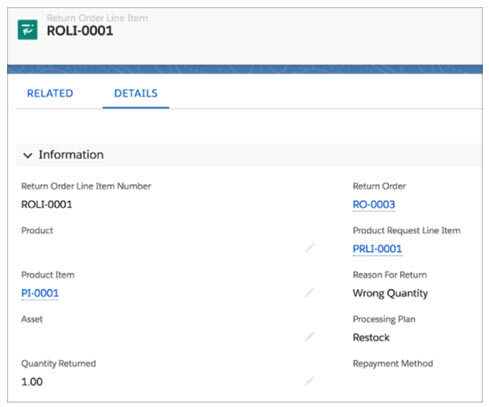 The Return Order and Return Order Line Item fields are available on the work order, work order line item, and product transfer page layouts. 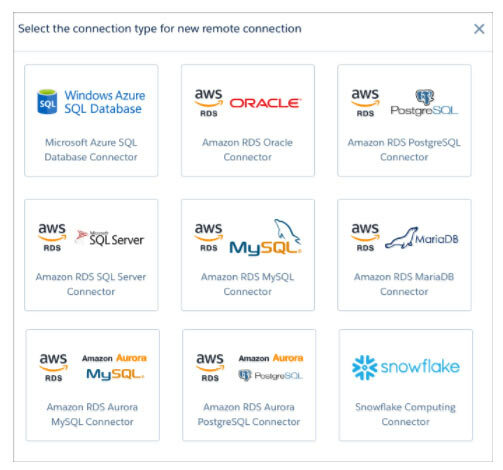 Connectors play a vital role in moving data in and out of the Salesforce instance. 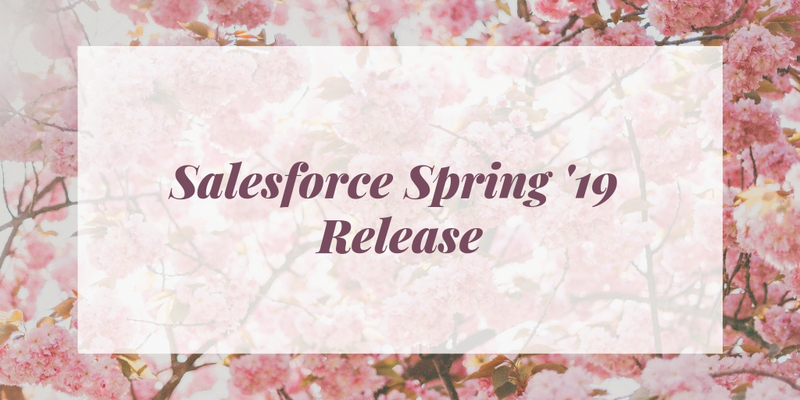 It is high time that Salesforce introduces some new connectors and for that, they launched a spring bonanza by not only adding new connectors but also revamping the existing connector limits. Are you using Lightning experience and want to check whether you meet the standards for using Einstein? How do you do that? Well, it’s simple just hit the “Assess your Sales Cloud Einstein Assessor” and relax! Salesforce will do the remaining, and the user will get the detailed personalized report via email and also uploaded in Files Tab. Remember this is available only for lightning. 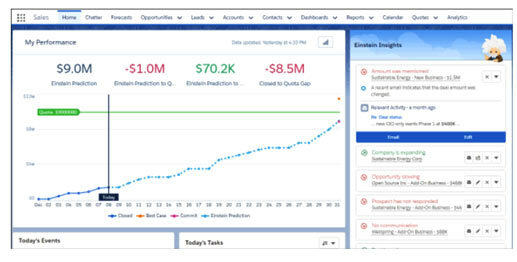 Salesforce is pushing for the Einstein as this will enhance the experience and reduce user intervention and data entry, this Salesforce features also will be in beta and all ideas and suggestions can be posted on, it is all cool but how will an organization setup Einstein within a Salesforce Instance? Standard fiscal year enabled, not a custom fiscal year. If you already use Sales Cloud Einstein, add the Einstein Forecasting app permission, available later in February 2018, to your Sales Cloud Einstein permission set. From Setup, enter Einstein Forecasting in the Quick Find box, and then select Einstein Forecasting. If you’ve customized your org’s Homepage, add the performance chart to the Home page manually. Well, the smartphones just got smarter, the Spring Rollout will provide better insights on accounts and Opportunities and that too from your phone. One click and get updates on the go, now that’s something we call SMART!!! This feature too will be in Pilot, but it is assured that it will be a permanent feature soon. You need Sales Cloud Einstein licenses to view insights in the mobile app. 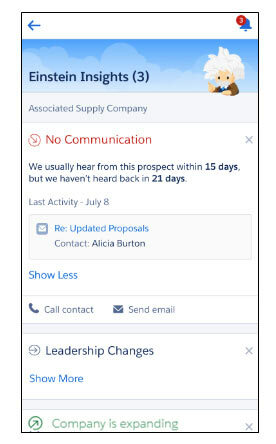 Sharing actions, activity timeline details, and suggested contact insights are available in Lightning Experience only. Well, this change is also only for Lightning Experience and a beta feature. 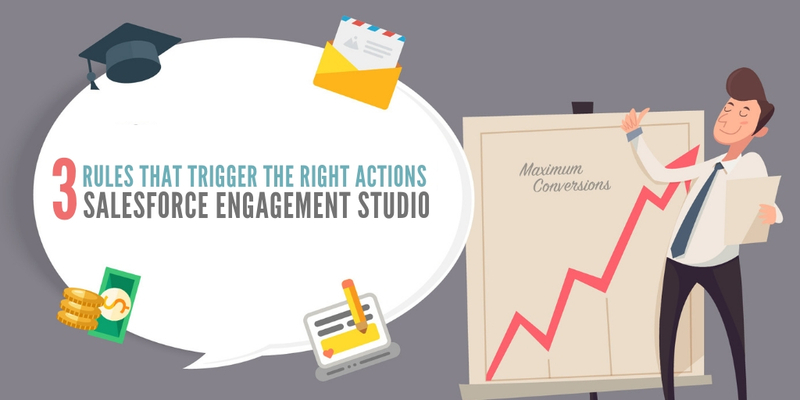 Before enabling B2B Marketing and letting users connect to campaigns, note these points. To make use of B2B Marketing app, the Pardot users will need to login into Salesforce. After enabling Campaign Alignment, all the Pardot campaigns becomes read-only. Only the campaigns that are connected are used in Pardot. Therefore users can no longer create a campaign from Pardot. 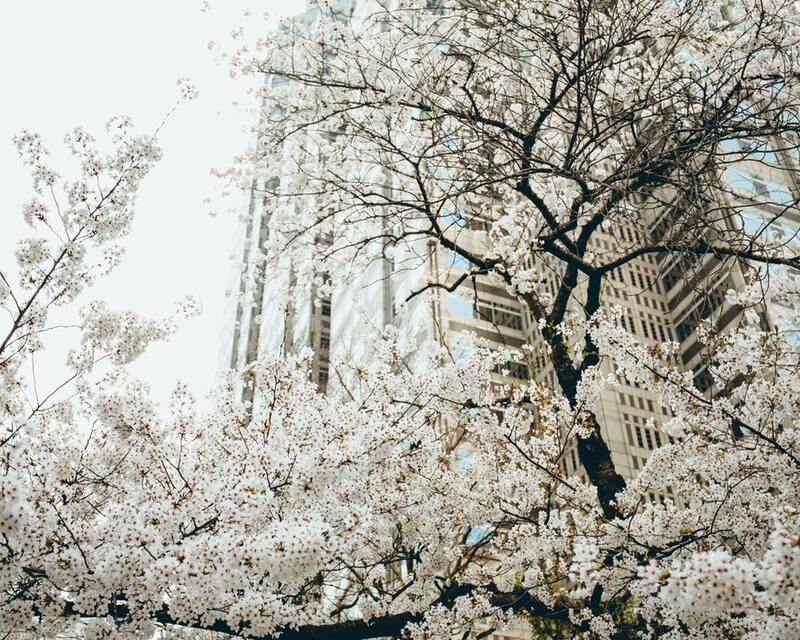 Users can Create campaigns from the Salesforce Campaigns tab which is available in the app B2B Marketing. 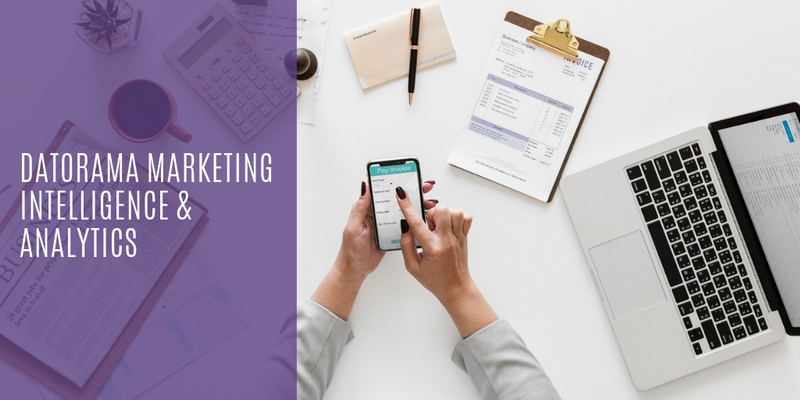 The marketers need the Marketing User permission on their user profile, and B2B Marketing Automation App permission set license to connect to the campaigns. 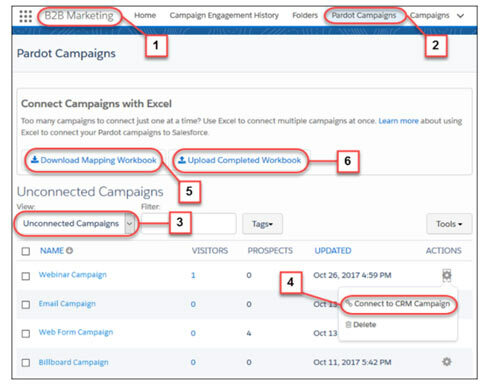 Marketers will be able to choose the specific Salesforce campaign record types to connect with the Pardot campaign. According to how your company uses record types, the marketing department can choose what not to connect. When a Salesforce campaign connects with a Pardot campaign, it will replace the values of those Pardot fields. All these actions cannot be undone. Connecting campaigns will let Pardot users access the Customizable Campaigns & track the opportunities that are generated by the campaigns. 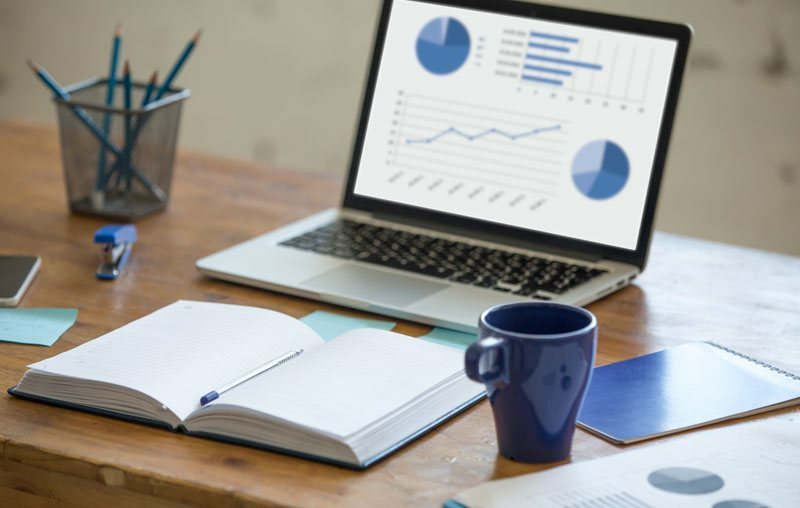 For connected campaigns, the Pardot engagement history data can be accessed. 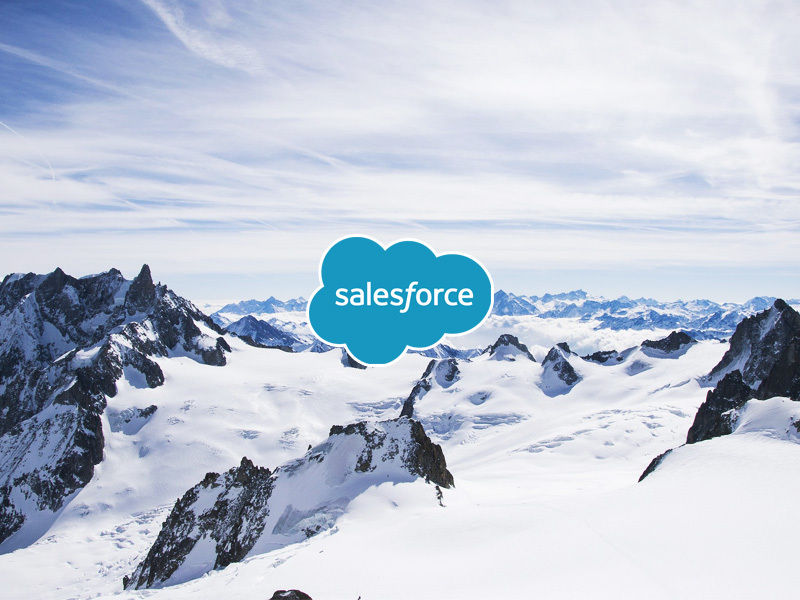 Users can try connecting campaigns in the Salesforce sandbox which is paired with the Pardot training environment. And if you would like to use a Pardot training environment, then contact Salesforce Support. To allow the application in Salesforce, from Setup enter B2B Marketing Setup in the Quick Find box, and then click B2B Marketing Setup. Then click Turn B2B Marketing On/Off. To enable Campaign Alignment in the B2B Marketing app, from the Admin tab, choose Account Settings. Then click Enable Campaign Alignment and choose the Salesforce campaign record types you want to allow your marketers to connect to Pardot campaigns. When you complete this action, your Pardot campaigns become read-only. 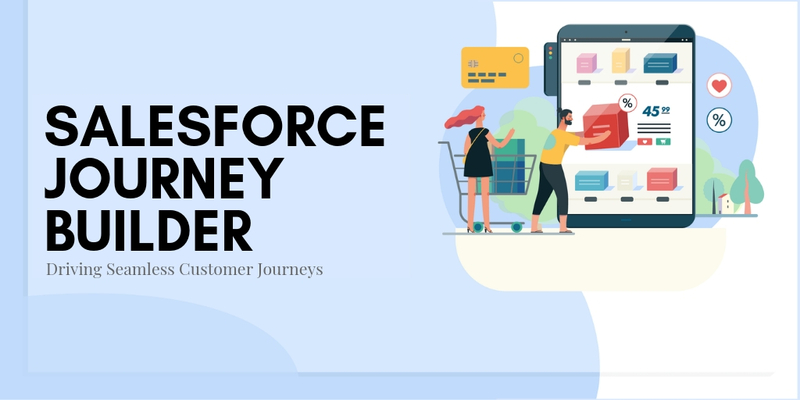 To work with them, your marketing team must connect them to Salesforce campaigns. 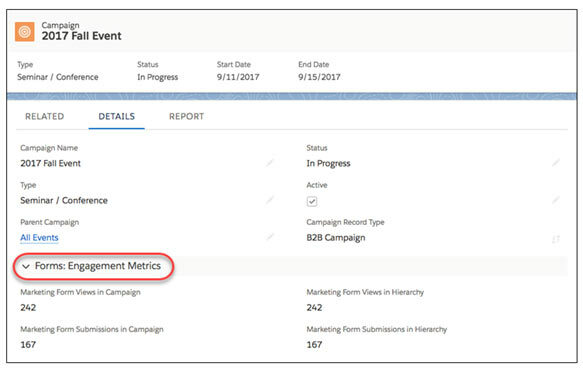 To connect to an individual campaign, from the B2B Marketing app (1), click on the tab Pardot Campaigns (2). To choose the Unconnected Campaigns view (3), Click on the Connect to CRM Campaign action (4) for selecting the campaign you want to connect. 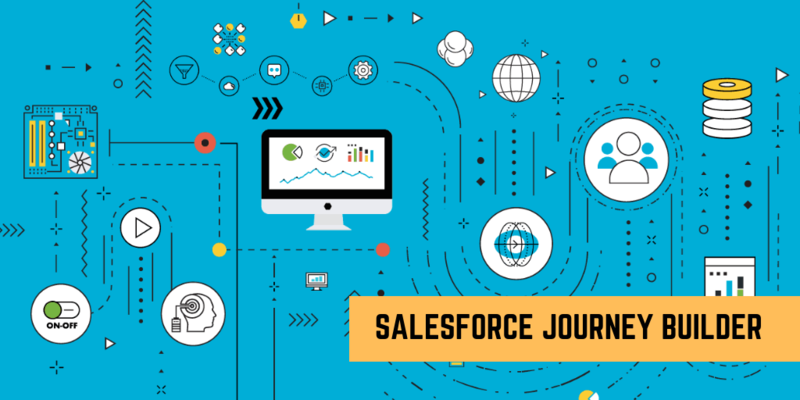 To connect the campaigns in bulk, click on Download Mapping Workbook (5), Salesforce will export an Excel spreadsheet with separate tabs which list in your Pardot and Salesforce campaigns. Use the tab Connect Campaigns to create a connection list. 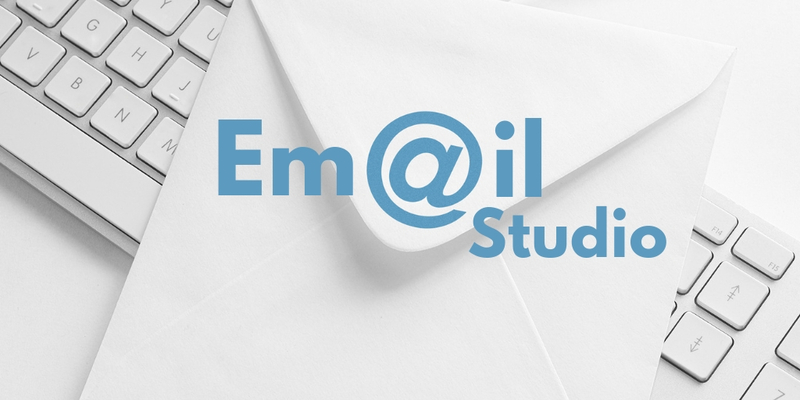 When you are done, click on Upload Completed Workbook (6) and upload your spreadsheet. 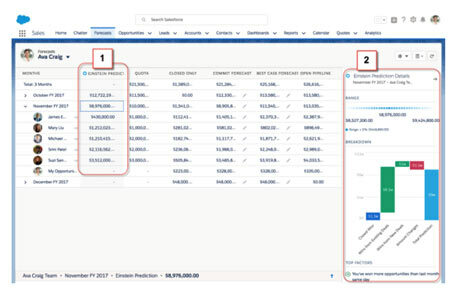 These Salesforce features are available for both classic and lightning users. 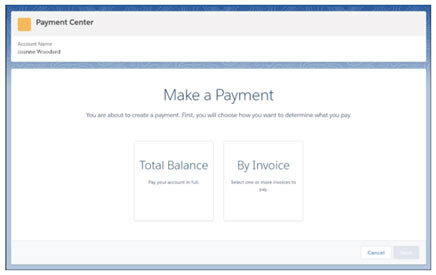 A faster, smoother and Seamless are the words used by Salesforce to define their new Payment Centre feature in CPQ, provides the customer more flexibility for settling an Account like making a part payment or full payment and happily enveloped in a simple interface. Before the Dreamforce 2017 the word “scratch Orgs” was just a rumor, but after Dreamforce it became a reality! The scratch Orgs provides many features, and they are created from the dev hub, the hubs can be authorized using Salesforce CLI. Well, this is a surprise and a good one in fact. In simpler terms, an AI is powerful enough to predict the future!!!! Yes, its true MyEinstein allows users to create custom AI models to track and check customer potential and likelihood. 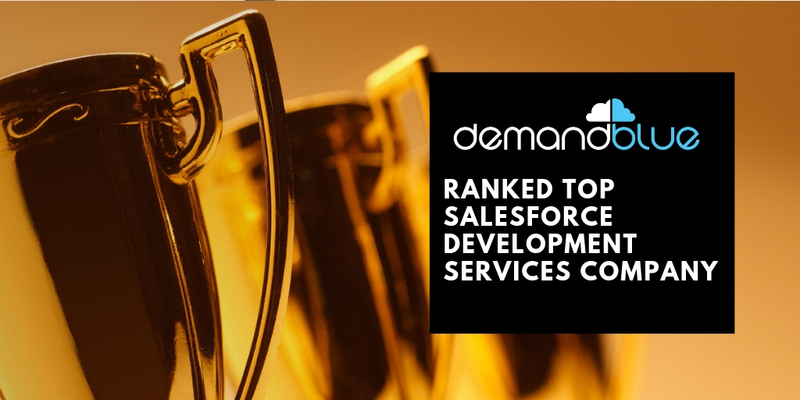 All this information is derived just from Salesforce fields and also allows users to create Chat bots that can be custom trained & directly interact with the customer. Salesforce just went to another level and introducing this feature will reduce manual errors and boost businesses. Design a custom training plan for your employees and equip them with a unique set of skills, TrailMaker allows users to create customized training programs. How many points did I earn? What are my skills? , just visit the Trail profile page to check the status and overall expertise and how many points you have received. Managers want to check how many employees have completed their courses, just use the Trail Tracker for this, it will allow you to track the current status and complete courses at the click of a button. 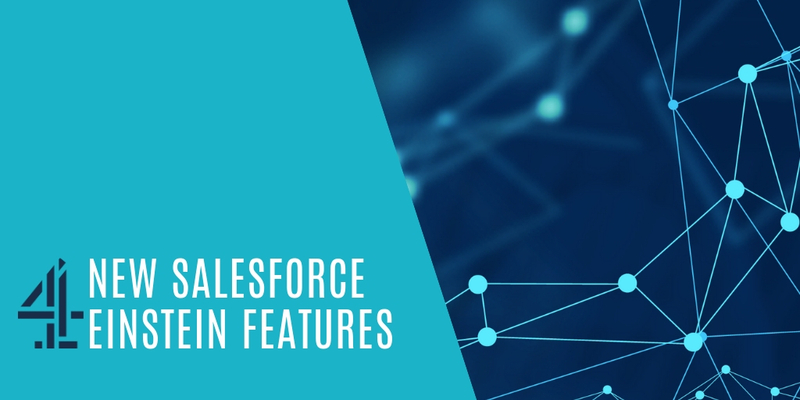 We have tried to be as exhaustive as possible in explaining these new salesforce features to you. Hope you implement them and enjoy the benefits. Cheers!